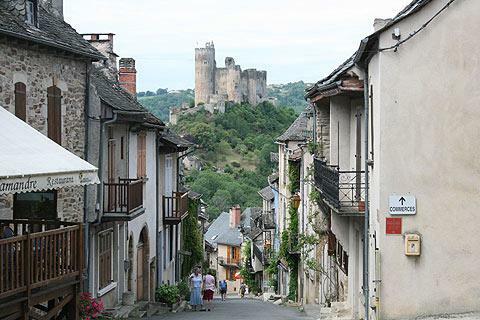 Najac, officially listed as one of the 'most beautiful villages of France', is about 20 kilometres south of Villefranche-de-Rouergue in the Aveyron department. 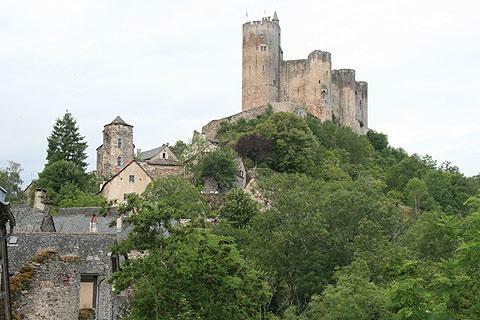 Najac is an unusual village in that it has just one main street running along the top of a ridge, and is towered over by the Najac fortress at the highest point on the ridge - needless to say there are fine views over the Aveyron countryside and the village of Najac from the castle. Small as it is, Najac is a lovely village to explore, with the quaint medieval houses with their lauze rooves so typical of this region. The best thing to do is to park on the Avenue de la Gare and then enter the village, near the mairie. The mairie is at the lower part of the village and walking uphill from here to the right head for the Place du Faubourg. The Place du Faubourg is Najac's market place and is surrounded by pleasant buildings including the tourist office where you can pick up a map of the village. The tourist office is in a small arcaded section of the square where the first floor overhangs the shops below. There are also a few cafés here where you can stop for a drink, some of them with terraces overlooking the fabulous Aveyron countryside. Walking back towards the mairie you get superb views of the village as it winds uphill towards the chateau at the other end of the village. It's a fairly steep climb up through the village to the castle but well worth the walk for the fabulous views from this highpoint. 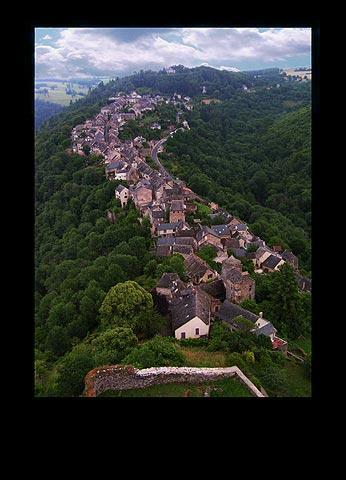 The village winds down almost in a single line below the chateau and the Aveyron hills are densely covered with trees. The walk to the chateau leads past medieval, half-timbered houses, the Seneschal's house and the Governors chateau. The castle itself is well worth a visit and has several interesting military features and very good views across the village and countryside. Near to the chateau is the church of Saint Jean which was originally also a part of the town's defences. It is in the southern Gothic style and dates back to the 13-14th century. 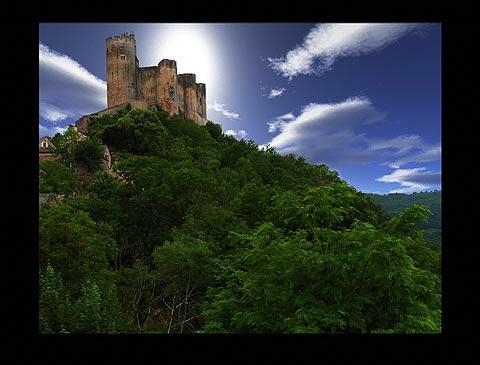 The castle was built in the 13th century around an earlier tower, as a strategic defence for Villefranche-de-Rouergue. The strategic importance arose during the Hundred Years War and the Albigensian Crusade, during which it became a key strategic cathar stronghold. The cathars were of course defeated, and in Najac they were forced to build a church as punishment - now considered to be one of the finest gothic churches in the region. On the edge of the village there is a 13th century bridge, the Saint Blaise bridge, which spans the river Aveyron. Market day in Najac is Sunday. 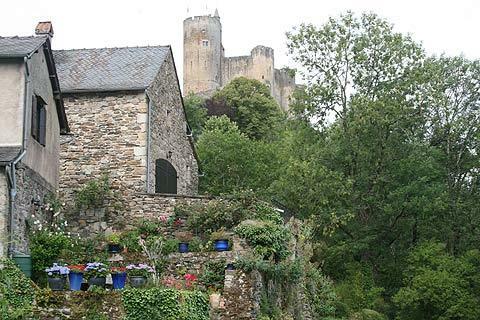 There is a great deal to see and do in the countryside around Najac. 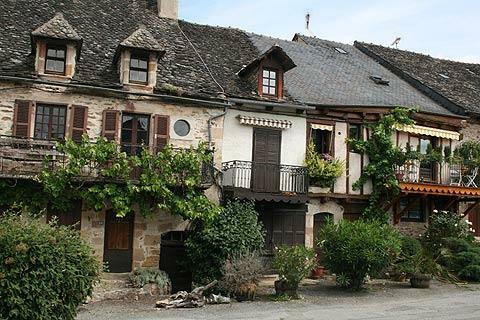 Among the many small villages nearby, in particular we recommend you visit the picturesque village at Cordes-sur-Ciel, one of our favourite places in the region. 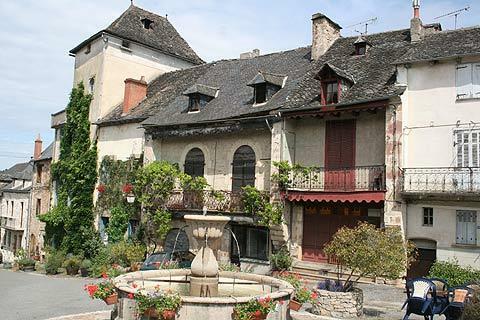 Also within easy reach of here you must visit the small town of Saint-Antonin-Noble-Val, which has an exceptionally well preserved historic centre.